Hello Parents! This site is for you! Not for the kids (per se) but for you. You can find a plethora of sites about raising children and child development, but how many do you find that focus on you, the parent? 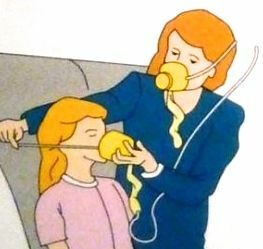 ​If you have traveled by plane you are familiar with the strict emergency instructions for parents to put on their oxygen mask before putting on their child's. ...it is the first step in creating the solution that you desire. Here at Be You Parenting™ we focus on parents first and in this process, magical occurrences happen that bring about more joy, harmony and love in family living. We give you the nurturing support that will contribute to you feeling confident being you and being a parent. So take a journey through our site to learn more.